This was the week we set about making thousands of IKEA fans’ dreams come true, with the launch of iconic IKEA food and product on Uber Eats. 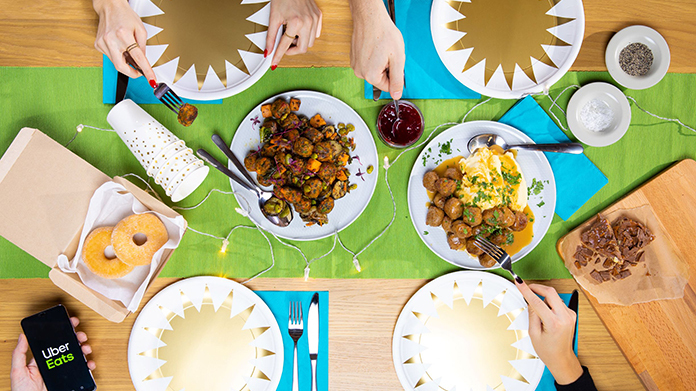 Bringing IKEA and Uber Eats together to create a unique partnership aimed at getting people to embrace their inner-Swede and the tradition of “fredagsmys” – a cultural movement to celebrate kicking off the weekend in style … by staying in. Billed as ‘celebrations on demand’ and available for five days only, thousands of London-based IKEA fans can get their hands on three ‘set menus’ served to their door from the IKEA kitchen in Hoxton and delivered in the Swedish retailer’s blue FRAKTA bag. Filled with everything from the iconic meatballs (naturally) to veggie balls and Daim Cake – all expertly matched with a number of homeware products designed to help create the perfect night in. With service starting today (16th November), the initial announcement made an instant impact, landing print and online pieces across the nationals in The Sun, The Star, Daily Mail, City AM and METRO (three times no less) – as well as cleaning up in the lifestyle, food and interiors press with pieces in places as diverse as Secret London to Eater, Hot Dinners, Fast Company, House Beautiful, Gizmodo and regionals up and down the country. With anticipation continuing to build, the coverage keeps rolling in as excitement hits fever pitch. So, should you find yourself in the Hoxton area, make sure you download the Uber Eats app and bag yourself a smorgasbord of IKEA goodies.